Home Tags Posts tagged with "turpin case"
David Allen Turpin and his wife, Louise Anna, have been arrested after police found their 13 children were held captive at home, some “shackled to their beds with chains and padlocks”. The couple was held on charges of torture and child endangerment. Their children – aged two to 29 – lived in Perris, 59 miles south-east of Los Angeles. Police officers were alerted by one of the victims, a 17-year-old girl. On January 15, the girl – who appeared to be “only 10 years old and slightly emaciated” – managed to escape and call the emergency number using a mobile phone found inside the house, the Riverside Sheriff’s Department said in a statement. Officers later found “several children shackled to their beds with chains and padlocks in dark and foul-smelling surroundings”. They were “shocked” to discover that seven of them were actually adults aged between 18 and 29. “The victims appeared to be malnourished and very dirty,” the police said. The children are now being treated in local hospitals. According to public records, David Allen Turpin, 57, and Louise Anna Turpin, 49, lived in Texas for many years before moving to California in 2010. David Turpin has twice been declared bankrupt. At the time of his second bankruptcy he is said to have had a relatively well-paid job as an engineer at aeronautics and defense technology company Northrop Grumman. However, with so many children and his wife not working, records suggest David Turpin’s expenses exceeded his income. The man’s parents, James and Betty Turpin, said that they had not seen the family for four or five years. They told ABC they were considered a good Christian family in their community and that “God called on them” to have so many children. The family’s Facebook page shows numerous pictures of them, apparently happy and smiling, some from events where David and Louise Turpin renewed their vows. Many posts have comments from family or friends. 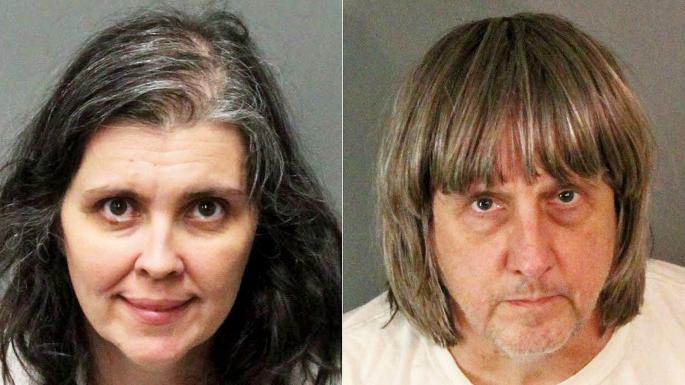 David Turpin’s parents said their grandchildren were home-schooled, but it is not entirely clear what that means. On the California Department of Education website, David Turpin is listed as the principal of Sandcastle Day School – a private school operated out of his home. According to the website, the school was opened in March 2011. Six pupils are enrolled there, all in different grades. One neighbor told Reuters that the Turpin family “were the type that you didn’t really get to know anything about them”. Another neighbor from across the street, Kimberly Milligan, 50, told the Los Angeles Times they seemed strange and wondered why the children never came out to play. “I thought the kids were home-schooled,” Kimberly Milligan said. Kimberly Milligan recalls on one occasion saying hello to the children but said they looked at her “like a child who wants to make themselves invisible”.